Over two-dozen vendors decorated Twin Pines Park during the Annual Earth Day Celebration on Saturday, April 21st. 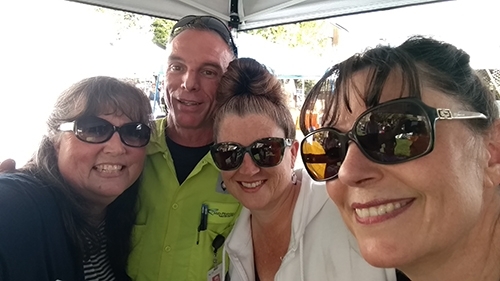 MPWD, City of Belmont, PG&E, Recology, Library, Climate Advocates, the Peninsula Humane Society, Bee Keepers Guild, Mosquito - Vector Control and more were all present during the 3-hour event. 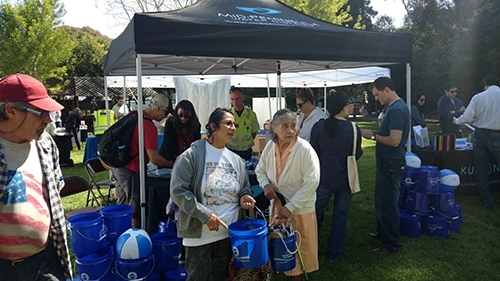 San Mateo County residents dropped off e-waste, gently-used books for recycling, brought in their confidential documents to shred, and shoveled free compost for use in their gardens. Children and adults alike showed up in abundance to learn. Booths featured hands-on activities, games, loads of reference materials, and fun giveaways. MPWD advertised it’s many rebate programs and the FREE “Bugs in the Garden” Family Workshop scheduled for June 2 from 2-4 pm at the Belmont Library. 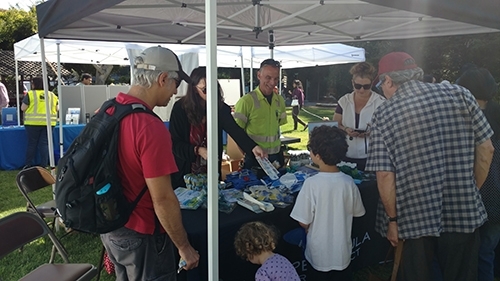 A number of conservation and promotional items were also given away including toilet tank banks, shower buckets and timers, and burlap tote bags. MPWD would like to thank the City of Belmont for hosting and its residents for coming out. We hope to see you again next April in celebration of Earth Day 2019!